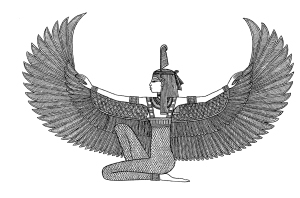 The 1st of Tehuti 415 (Gregorian calendar date September 11, 2015) marks the 1st day of the new spiritual year under the sidereal calendar. According to the sidereal calendar seasonal New Year is also based on the rhythms of the Septet (Sirius) Star and occurs when the Star rises at approximately the same time as the sun. The sidereal calendar is the calendar that was used by the entire world before the invasions of religion and sects and is still used throughout the world today especially in traditional spiritual communities in Meritah (Africa). Within the new cycle it is highly favorable for spiritual activity and there are many traditional holy days to observe. 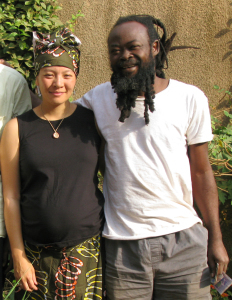 Our ancestors understood that it is not a coincidence that the Kemetic New Year coincides with the rainy seasons and hurricane seasons in the tropical regions of the world. 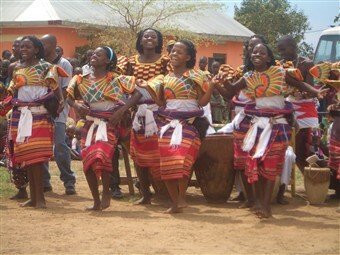 We celebrate this knowledge that allows us to harmonize our activities with the realities of the world and the universe. We celebrate our connection to something larger and more stable than ourselves. Let us commit to returning our lives to these realities and free ourselves from the confinement of colonial politics. This new year, let us commit to living in harmony with our home, Earth. Contact your local Earth Center for details on celebrating the new year! 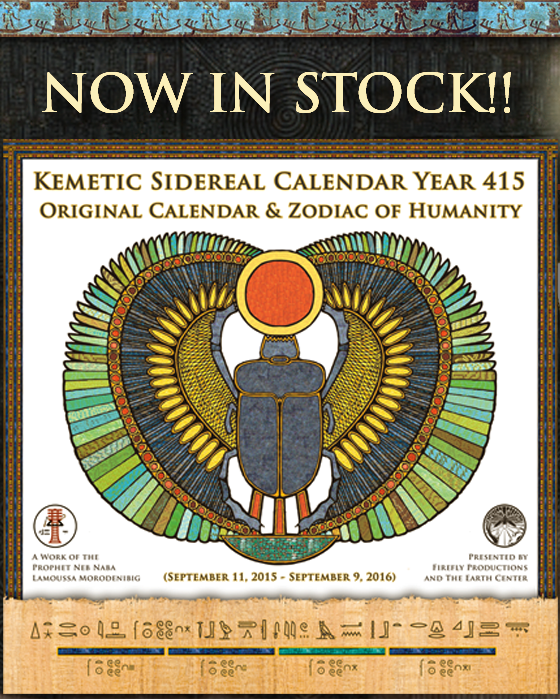 Celebrate with us and stay up to date with this year’s events by purchasing your sidereal calendar year 415 today! 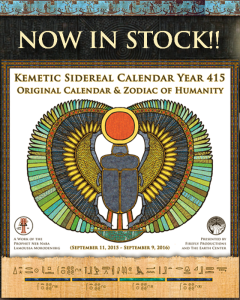 The 415 Sidereal Calendar is now ready for purchase! What is the sidereal calendar? The sidereal calendar is humanity’s oldest and most astronomically precise calendar. 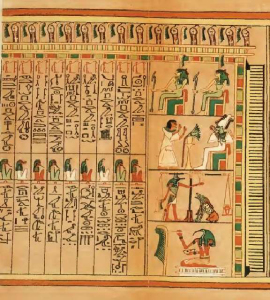 All calendars around the world – including the Gregorian, Chinese, and Mayan – have their origins in the sidereal calendar that was used in Kemet (humanity’s first civilization). While the Gregorian calendar is based on Earth’s revolution around the sun, the sidereal calendar is based on the relationship between Earth, the sun, and the Sirius/Dog Star. Millennia ago, our ancestors determined that the Sirius Star has the most stable cycle of all cycles that human beings can perceive. Unlike the commonly used Gregorian calendar, the sidereal calendar is not based on politics and social ideologies, but rather on the practical and spiritual elements relevant to human existence. Each aspect of existence is governed by the Divine, including the notion of time. The sidereal calendar is a tool that provides humanity with a link to the Divine. So, even though the calendar is humanity’s oldest, it has proven itself to be the most practical and relevant calendar in use today. For the first time ever, you can now purchase a subscription to for the sidereal calendar! You will receive this year’s 415 calendar, the next 3 sidereal calendars and the Earth Center’s current Firefly issue #69. Order yours today!